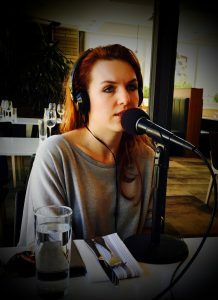 We don’t know why it’s taken us so long to have Lindsay Hansen Park on the podcast. On this episode we chat with Lindsay about being a feminist and a Mormon, polygamy, and the difference between being Mormon and being LDS. This entry was posted in Podcast Episodes and tagged Bill Allred, Dylan Allred, Feminism, LDS, Lindsay Hansen Park, Mormon, Polygamy, Stanza, The Let's Go Eat Show. Bookmark the permalink.